Greeks around 657 BCE founded Byzantium. It was significant because of its strategic location that connected it to east and also in terms of defence. it could only be attacked from the west as rest sides were covered with sea. Because if its prominent location and fertile land, it was marred with wars in the early times. It was a centre of Persian wars between Greeks and Persians. Persians were hell bent on conquering Greece and city kept changing hands between Persians and Greeks. It was later conquered by Spartans who made peace with Persians (Persian king Xerxes) and provided their full support to Persians in exchange of letting them govern Byzantium. In 340 BCE, Phillip II of Macedonia besieged Byzantium but was in constant threat from the Persians across in the east. 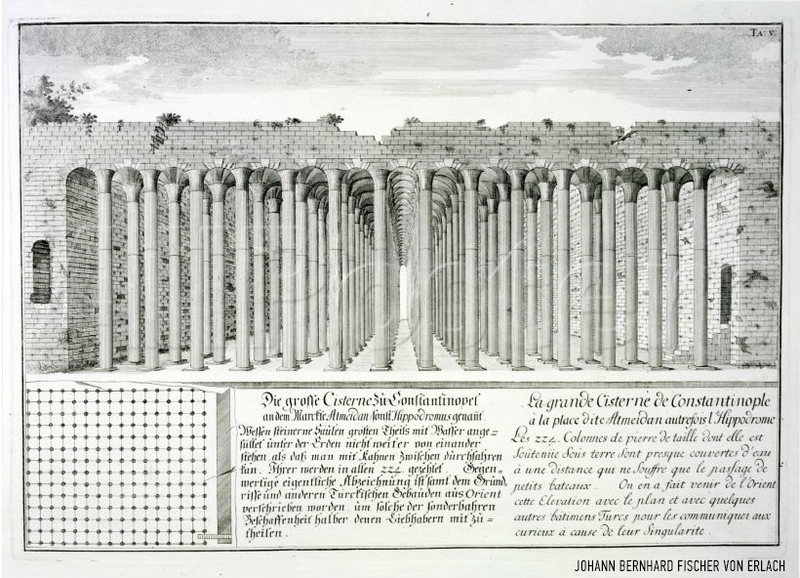 His son Alexander the Great, understood the significance of the place and laid his conquest across Persia getting himself in helm of its affairs. Byzantium stayed ally of Roman Empire but kept itself fairly independent. When Constantine came in to power in Rome. He realized that it was not possible to govern the entire roman empire from Rome as the Empire had grown in great proportion and there are enemies in the west (goths), enemies in the east (Persians) and also the city of Rome was crumbling under poor infrastructure and growing population. Constantine planned to make Byzantium as capital of eastern Roman Empire. Thus, city of Byzantium was known as Nova Roma (new Rome) or Constantinople (derived from king Constantine). 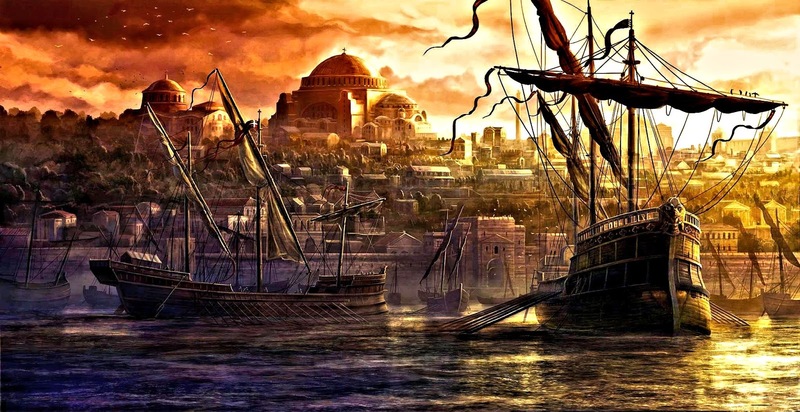 The biggest challenge to convert Constantinople in to capital was weather. Weather was dry generally except winters, which saw showers. Water supply became the biggest challenge in order to make it a thriving city. 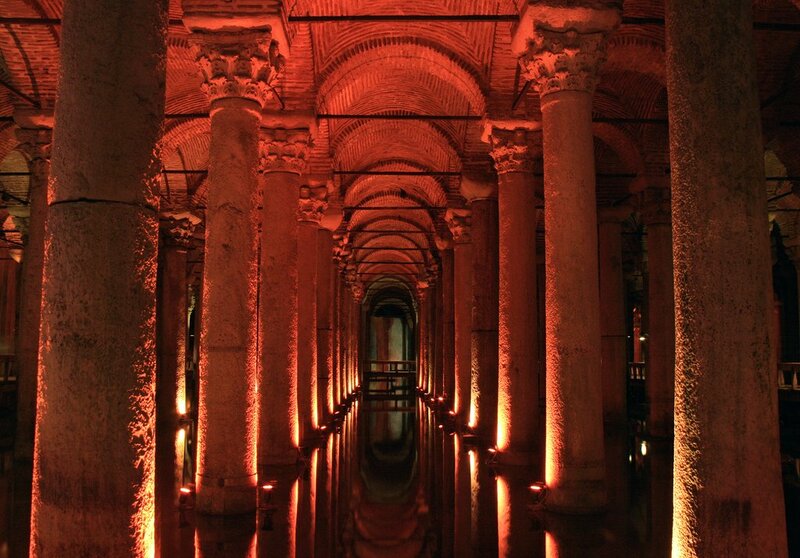 Constantine commissioned creation of state of the art Aqueduct system and created Basilica Cistern to store water in order to later utilise across the year. The city population grew by leaps and bounds and became major trade point from the strait. Paganism was still most accepted religion at that point of time. After Constantine’s death, Constantius II and later Julian rose to power. They were not too much bought to the idea of Christianity so Paganism still thrived. After the death of Julian, Theodosius, the great, came in power. He made Christianity the official religion of the empire in 391 CE and banned Paganism. Theodosius II rebuilt Hagia Sophia after it was burnt and Justinian who followed Theodosius built more churches that played significant role in revival and propagation of Christianity in Constantinople. 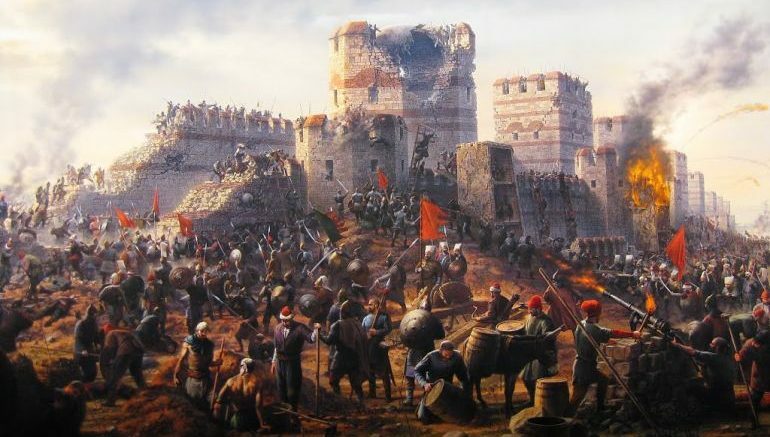 In 1453, Sultan Mehmed II of the Ottoman empire succeeded in breaching the walls that protected the city land border and entered the city through what is now known as Topkapi palace. He rode his horse to Hagia Sophia and asked Imam to chant Adhan (Islamic call for prayer) and thus, converted church into a mosque. There was again a cultural shift. Islam rose in following, becoming the official religion of the city. 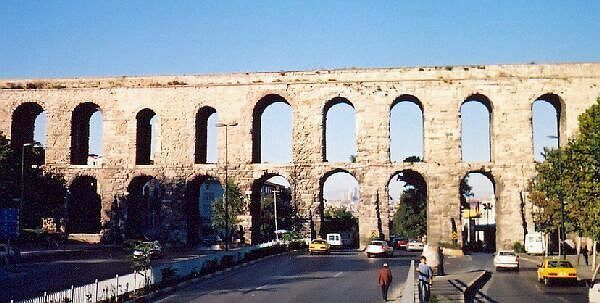 City was renamed as “Kostantiniyye” and Ottoman ruled it since till the reign of Mehmed VI. The national assembly of Turkey abolished Sultanate on November 1, 1922 and became officially as “Republic of Turkey” year later. The Hagia Sophia now has been restored as a museum and open to people. I have personally visited the place and looking at it you can marvel and dread history at the same time. History that can on one hand give such a beautiful monument but on the other hand is responsible for pillage, loot & killings of millions of common people.